2001 Tacoma, 280,197 miles, options include: a Spare Tire (Full Size), Rear Wheel Drive, Power Mirrors, a Drivers Air Bag, a Third Passenger Door, a Gasoline Engine, an Adjustable Steering Wheel, an Auxiliary Power Outlet, Steel Wheels, Bucket Seats, an AM/FM Stereo, a Fourth Passenger Door, a Pass-Through Rear Seat, Intermittent Wipers, Power Steering, a Tilt Steering Wheel, a Reading Light(s), a Passenger Air Bag, a Cassette Player, Variable Speed Intermittent Wipers, and a Bench Seat. This 2001 Toyota Tacoma PreRunner, Stock number 181337B features a Mystic Gold Metallic exterior. Factory equipped with an impressive 6cyl, 3.4l, 190.0hp engine, an transmission and rear wheel drive, this Toyota Tacoma is ready to conquer the roads! 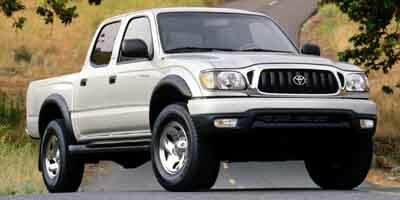 Contact us today to schedule a test drive of this 2001 Toyota Tacoma PreRunner! Or stop in at 1407 North Lincoln Street Greensburg, IN to check it out in person!